Hong Kong, Hong Kong, I love you. A very large reason is due to your amazing food choices, and the culinary scene just get more and more exciting. 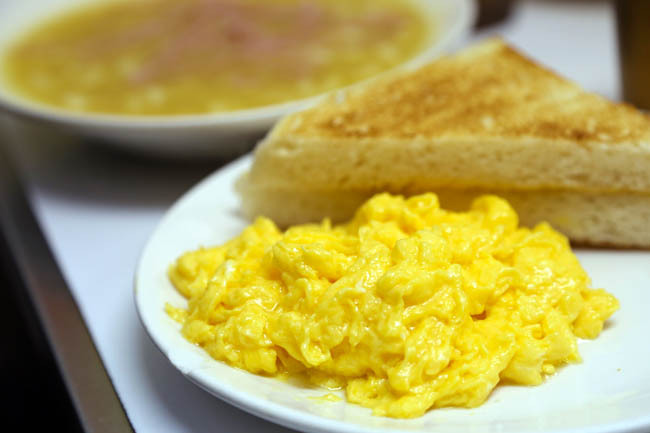 Early morning I wake up, I crave for some scrambled eggs at Australian Dairy Company, perhaps yum cha at a dim sum restaurant, savour after char siu, chat with friends at a cha chaan teng, and end the night with seafood dinner and cold mango dessert. You see, one of the reason why Hong Kong can be vastly different and still remain interesting is its unique cultural makeup, with east-meets-west influence. And Hong Kongers are bold to be different. Where else can you get satay instant noodles sold in cafes? I get frequent requests for a “Hong Kong food guide“. 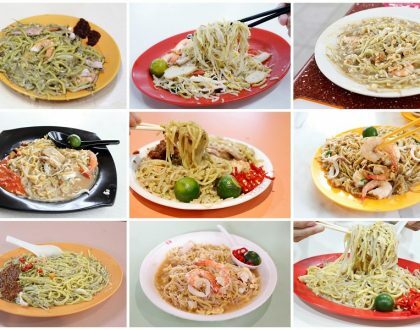 These are some of my favourite food and haunts whenever I visit Hong Kong. 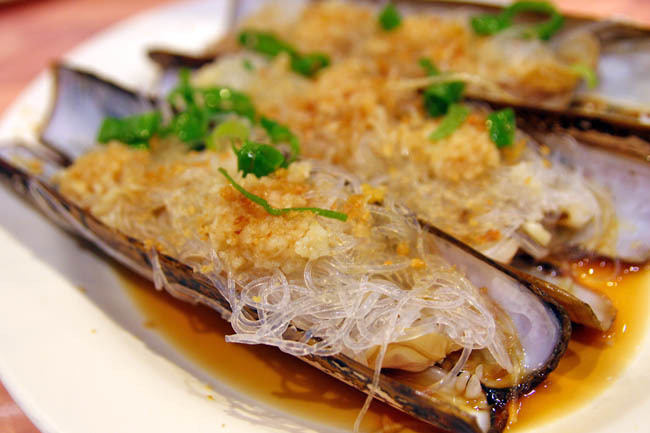 The 10 must eat food in Hong Kong! 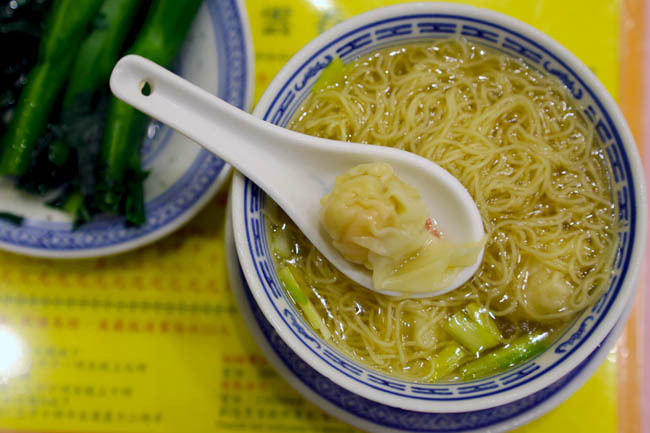 Nobody makes wanton noodles, and can I add beef brisket noodles like the Hong Kongers? There are still shops that preserves the craft of handmade bamboo-pressed noodles. Most of the noodles are springy thin, with the soup bases cooked with powdered dried shrimp, flounder and pork bones that makes such a punch. Wanton with big fat prawns, and beef that melts in your mouth. Yes. 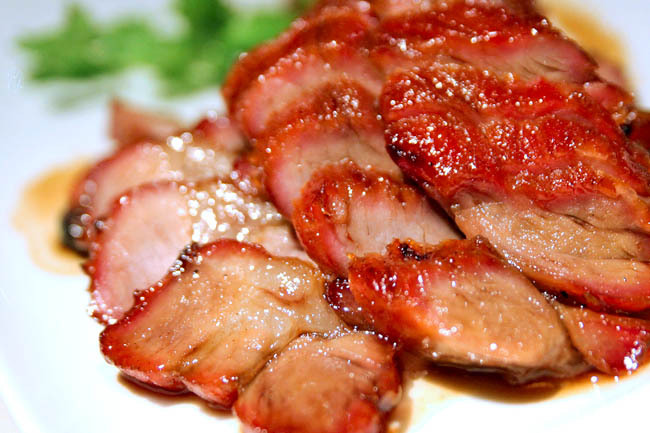 Hong Kong’s Roasted Meats consist of four known mouth watering treasures – Char Siu (barbecued pork), siu yuk (roast pork belly) and roasted goose. Char Siu is definitely my favourite, shiny glazed, beautifully charred, and sweet tender pieces that complete a bowl of fragrant rice or noodles. You can get them at high end Chinese restaurants, or Tai Hing, Maxim and Café de Coral chain stores found at most parts in the city. 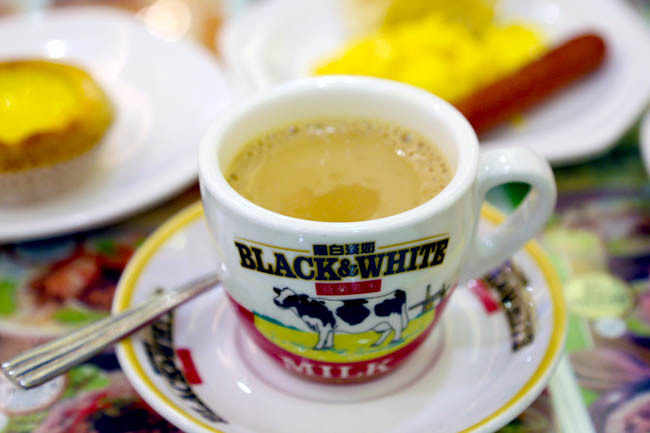 Hong Kong Milk Tea is said to be made of a combination of tea leaves. Sometimes they are called “Stocking Milk Tea” because the filter bag reputed to make the tea smoother, gradually develops an intense brown colour which looks like a pantyhose. My criteria for a fulfilling cup of 香港奶茶 are the 5 ‘S’s – silky smooth, satisfying, sweet, and ‘siap’ (slight bitter aftertaste). At Tsui Wah‘s branch at the Hong Kong International Airport, you can even buy takeaway bottles back home. Most congees in Hong Kong are painstakingly cooked for many hours, resulting in a thick, creamy, smooth bowl that warms the tummy and the heart. The favours of the congee come from pork bones, and you can top it with ingredients such as meat slices, pork ball, fish belly or fresh prawns. Know not what ingredients to get, a ‘boat’ or ‘sampan’ congee will contain the vastest assortments. 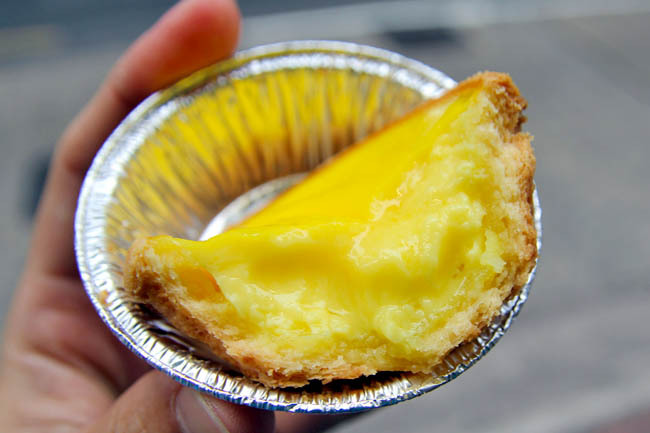 There are many local snacks you must try in Hong Kong – pineapple buns, mini egg puffs, wife cake, white sugar cake and not forgetting the egg tarts. 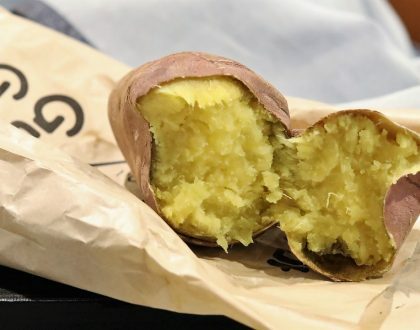 Oh, that smooth bright yellow egg custard, seated inside crumbly fragrant buttery crust. Get them freshly baked, eat them warm! You can easily find these decadent tarts at old-school confectioneries. 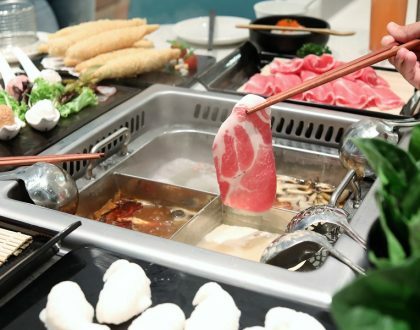 Due to its earlier colonial days, Western food with Chinese flavours added has become very common. Case in point, pork chop burger, macaroni in tomato soup and fried egg, instant noodles with sausages, French toast and Swiss Sauce chicken wings. You can’t find these wings in Switzerland. 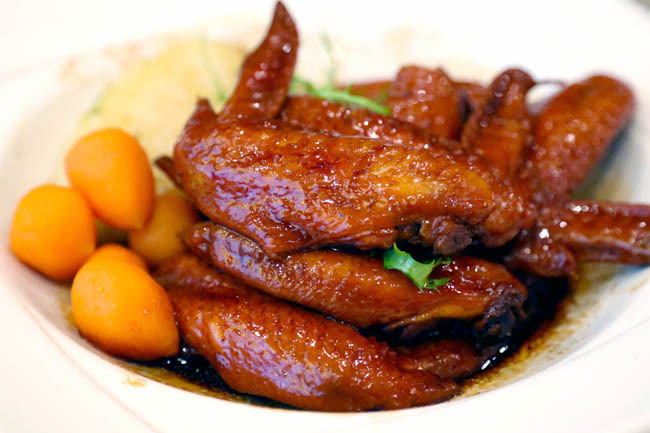 Word has it that a waiter called these sweetened soya sauce chicken wings “Swiss wings” instead of sweet, and that name remained. As one of the world’s biggest port cities, The variety can range from a zi char style restaurant (Gi Kee), seafood restaurant (Under Bridge) or Michelin starred ones (Ming Court). There are several off-the-town Cantonese style seafood places available such as Lei Yue Mun, Sai Kung, Lamma Island for very fresh items. For something more touristy and iconic, head to the Aberdeen area for Jumbo, one of the world’s largest floating restaurants. Every late night outing would somehow land us in a Hong Kong dessert shop, which offers some of the most amazing varieties. Won’t be surprised if some shops can offer 50-100 different types of hot and cold ones. 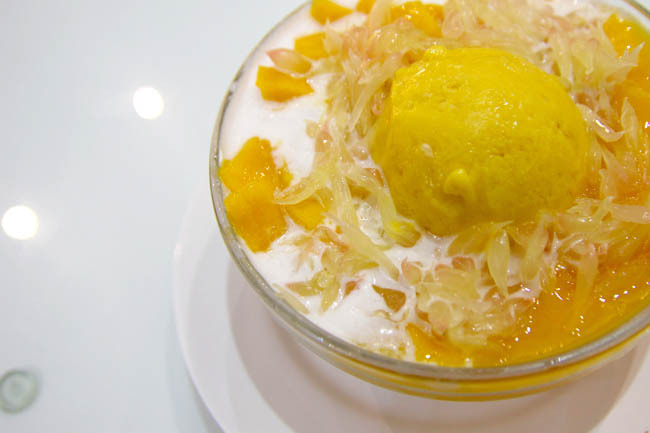 Some places to go to: Mango Sago by Hui Lau Shan (said to be introduced by them), Milk Pudding from Yee Shun Milk Company, and yes, Auntie Sweet’s Durian Tofu. Seriously. My disclaimer: There are definitely a lot a lot more I have yet, or chose not to include. As far as possible, these are places which are more accessible and tourist-friendly. If I left out any representative must-try foods and places, do leave a comment below. Time for me to go back to Hong Kong soon! Hi, I almost eat those food when I’m in Hong Kong. However, I thought you missed out one very delicious Hong Kong food that cannot be missed. That is curry fish balls, which can be found at the road side. IMO that is what I call real Hong Kong food. Sorry. Should be, “I eat those food whenever I’m in Hong Kong”. Hi Huilin, I did consider adding “yu dan”, but decided to leave the street food for another entry, because there are just too many. Love your Blog, I will travel the next week and this help a lot! thanks for sharing! Have fun traveling and eating! for roast meats, you wrote roast goose twice. Just came back from HK for honeymoon.. Most or at least more than half of those I've tried.. Some good, mostly are a waste of time.. Those unknown small stores can easily beat those "famous" stalls..
Of course. Some hole in the walls offer really good & authentic food. But for any new traveler to Hong Kong, it makes sense to try the 'famous' stalls, especially most would travel on a tight schedule. Any small stores to recommend? Too sweet? Depends on brand and if you add toppings I suppose. Great list. But where’s Mott 32? Their peking duck and dim sum is great. Oh you’ve missed lots of good food. My recommendation wouldn’t be like what youve tried. probably what ive not seen youve post. Or even places where you have never thought of going. Non of the bloggers have made anyone those recommendation. If u r keen email me. Dear Connie, my wife and I will be going to HK for 5 days on free and easy. We are 55-60 yrs age group. Food is our favourite. Read your comments and really interested to try your recommendations. Thanks. We will be making a trip to HK shortly. Would love to have some of your recommendations. We simply love good food and have been to HK a couple of times but would like to try out new joints. Good day! Connie I would just like to know which places will you recommend for us to go to especially foods. I am travelling with my wife and 3 kids ages 7-8-9 to hong kong for 5 days from tomorrow. Hi Rency, generally children would appreciate Disneyland (though it is rather small), Ocean Park and a walk by the Ferry Terminal. A ferry ride should always trill the kids (unless they are not keen of choppy waters). HK is full of cutesy restaurants such as Hello Kitty, Charlie Brown and Gutetama-themed ones. I noticed kids like to try the HK-style of ‘fast food’ where you get Western style food with Chinese influences, so you can try Tsui Wah (available everywhere) and Cafe Deco at the Peak. What an informative post! Thanks for sharing! 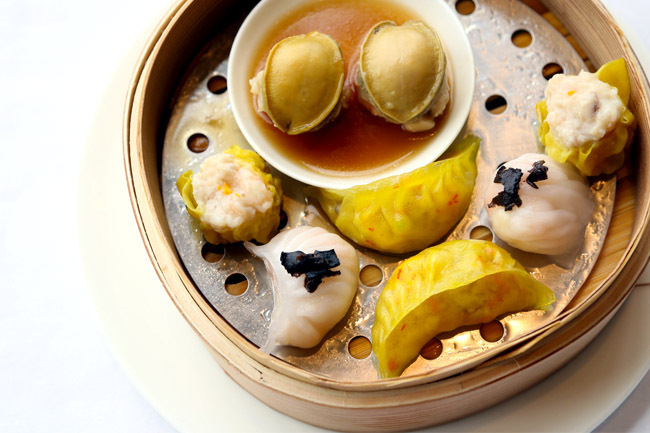 Have you tried One Dim Sum at Prince Edward? Have you tried The Match Box in Causeway Bay? It has a very old Hong Kong cha caan teng feel, and their toast is AMAZING. The milk tea there is also very flavorful. DIM SUM means 'touch your heart'…..HAHAHA no it doesn't. Otherwise good post mate. What do you mean it doesn’t? It does! Hello Daniel ! thanks for this post ! i’m from Brazil and i’m going to Hong Kong this year. I’d like to ask you a question : at Australia Dairy Co or Capital Cafe, do you order at the table , eat it, and pay it after the meal or you pay it right away when you order the food at the counter or chashier ? If I can remember correct, Find a Seat FIRST > Order > Eat > Pay at the end at the cashier which is near the door. I’m in a vacation right now and don’t have any idea where to find good food here in Wan Chai. Glad I found this 10 must eat food in Hong Kong! Wish I could visit all these restaurants while I am here. Maybe I need to check online if they have meal delivery service, what do you think? 新斗记 – Go to main outlet, Best Suckling Pig! 一乐烧鹅 – Near to Yueng Kei, awesome and cheaper! Ching Ching Dessert – Tin Hau Stn, great local desserts! Australian Diary Co., waiters could be quite impatient if you are not ordering fast enough, but a good way to experience how efficient HK ppl are. BTW, their staff recently just showed some color to some unreasonable Mainland tourists, hopefully that will be helpful to shorten the queue; otherwise, many local restaurants in Jordan are very decent. Wow! The information is very useful! The restaurants you suggested are great! The soufflé in 太平館餐廳 is as big as my head! It is also a must-try dessert! maybe it’s time to update this entry as it’s worrying to see a reputable food blogger recommending these branded eateries as worth-the-hype-and-queue, must-visit places in HK… it potentially make the rest of your entries less credible. Hello Admin!! Im going to Hong Kong this December with my wife and 2 year old son for 4 days and will stay in Tin Shui Wai, any recommendation were we can try delicious food in that area?